Located in Fira, near Archaeological Museum of Thera , Megaro Gyzi and Museum of Prehistoric Thera , Casa Santantonio features free WiFi. The accommodation features a hot tub . Accommodation features a seating area with a flat-screen TV and DVD player, as well as a fully equipped kitchen with a fridge and a dining area. A continental breakfast is served every morning at the property. At the apartment guests are welcome to take advantage of a hot tub. A car rental service is available at Casa Santantonio. Central Bus Station is less than 1 km from the accommodation. 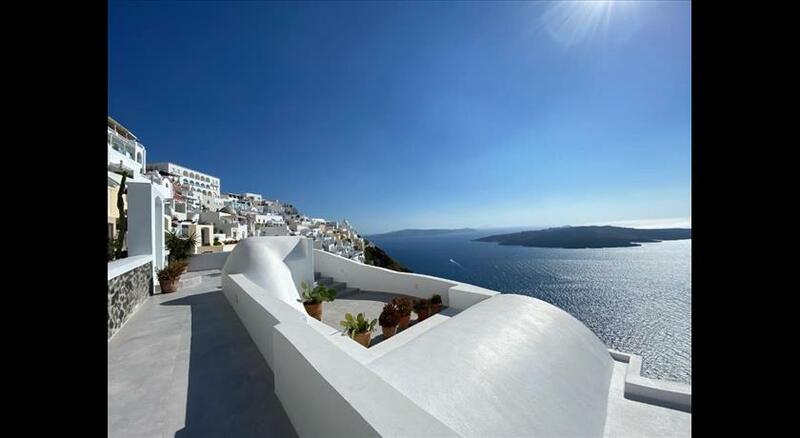 The nearest airport is Santorini International Airport, 6 km from Casa Santantonio. All children are welcome. All children under 2 years stay free of charge for children's cots/cribs. All children under 12 years are charged EUR 15 per night for extra beds. All further older children or adults are charged EUR 30 per night for extra beds. The maximum number of extra beds in a room is 1. Please inform Casa Santantonio in advance of your expected arrival time. You can use the Special Requests box when booking, or contact the property directly with the contact details provided in your confirmation.